I like trains. I had a model railway as a kid that eventually took over half the basement. 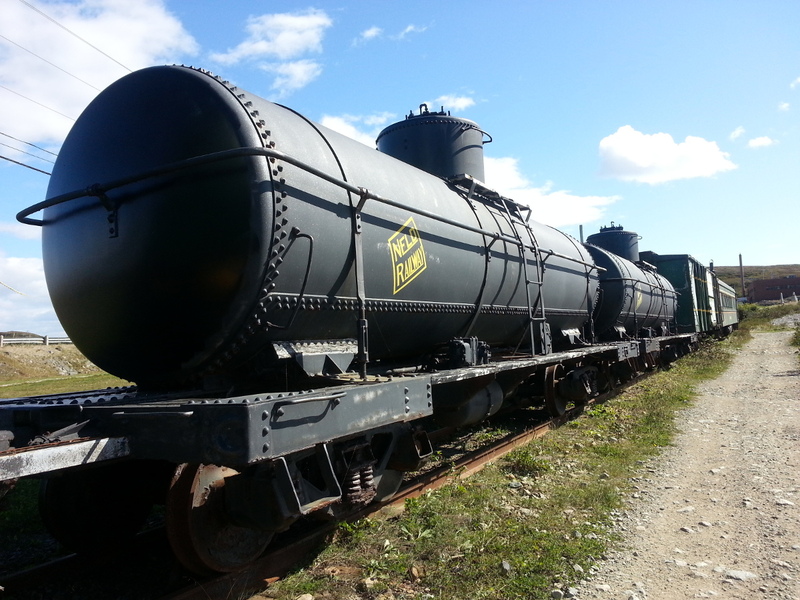 For railway buffs, the Newfoundland Railway is one of North America's most interesting rail stories. Construction began in 1881. The tracks crossed the entire island by 1898. The line was 906 miles long and built in a narrow gauge of 3 feet 6 inches. 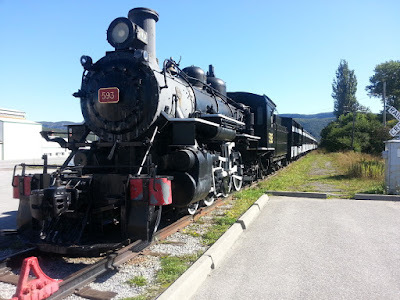 It was the longest narrow gauge railway in North America. It was built this way to save money and to make it possible to build sharper curves to better navigate through the rough terrain. 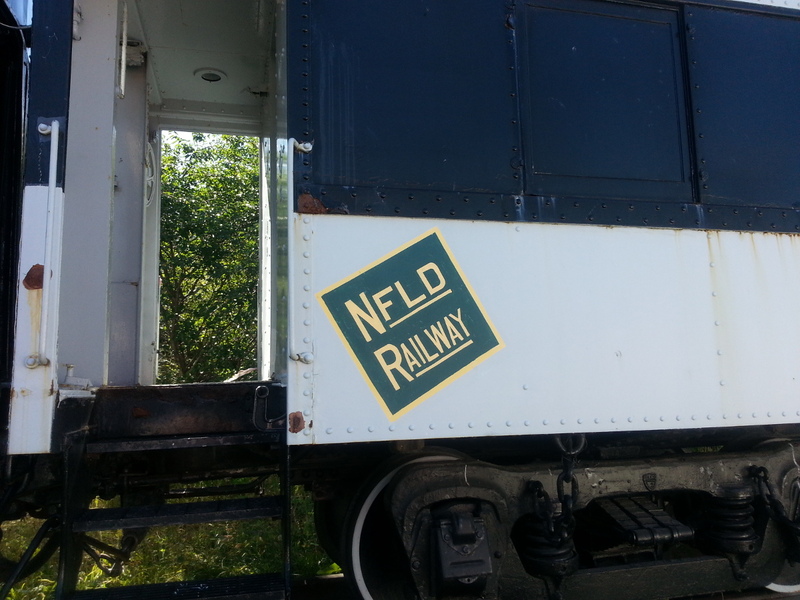 The Newfoundland Railway quietly became a key strategic asset during the Second World War. After confederation in 1949, the railway was integrated with the Canadian National system. 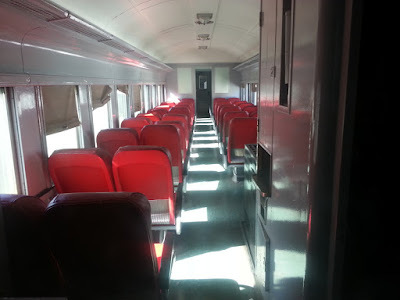 Large car barns were built in Port aux Basques so the narrow gauge trucks (railway car under-gear) could be changed to standard gauge, before railway cars were loaded on the ferry. Confederation also led to the completion of the Trans Canada Highway across Newfoundland, which would eventually spell the end to the railway. Buses and Trucks were quicker and made more economic sense. 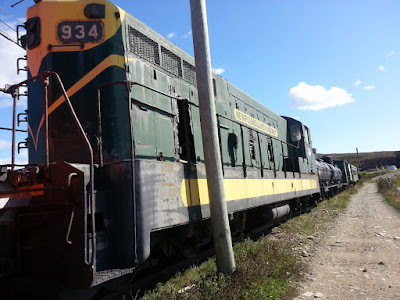 The last passenger train ran in 1969 and the last freight train ran in 1988. There are two railway museums on the west coast of Newfoundland. Locomotive 593 is on display in Corner Brook. 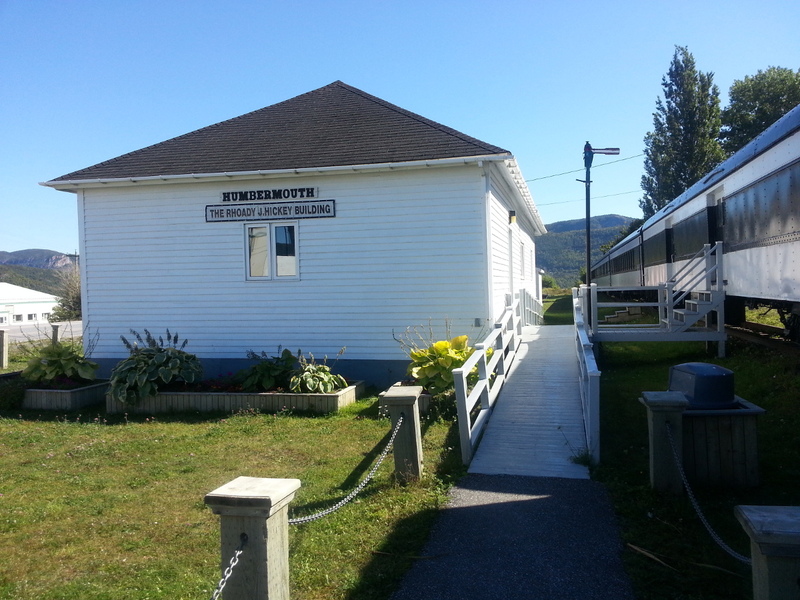 The museum is on Riverside Drive and easy to get to from the Trans Canada. You'll see the other museum shortly after you drive off the ferry in Port aux Basques. It's on the left (west) side of the highway right at the main exit for Port aux Basques. 593 was built by Baldwin in Philadelphia in 1920. After 1.5 million miles it finished its' service life as a yard switcher in Port aux Basques in 1957. 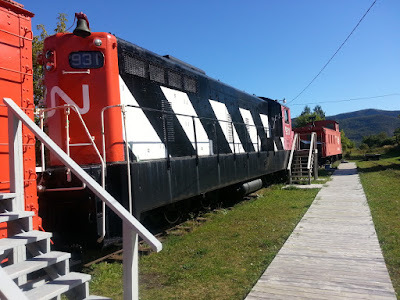 Corner Brook has a diesel locomotive on display painted up in CN colours. 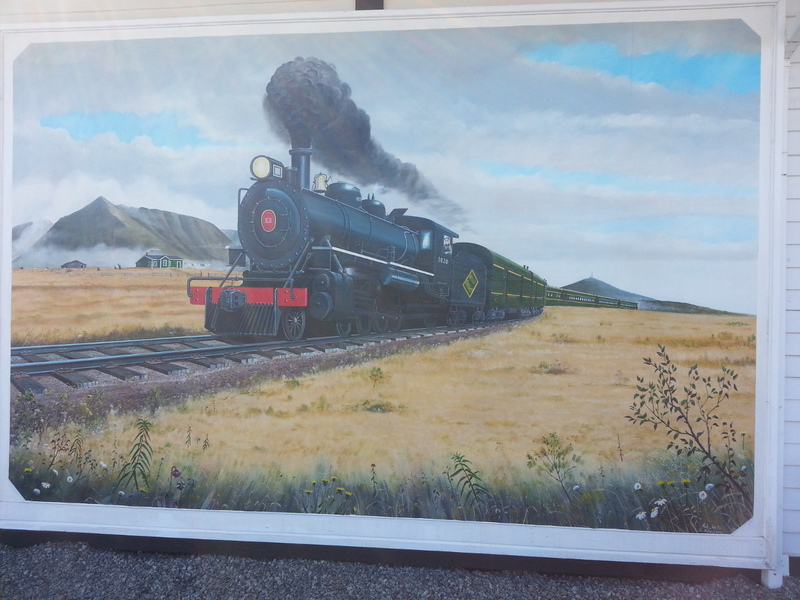 They also have a snow plow, caboose and passenger cars with the Canadian National paint scheme. The station is called Humbermouth Station. The museum is very close to where the Humber River flows into Humber Arm. 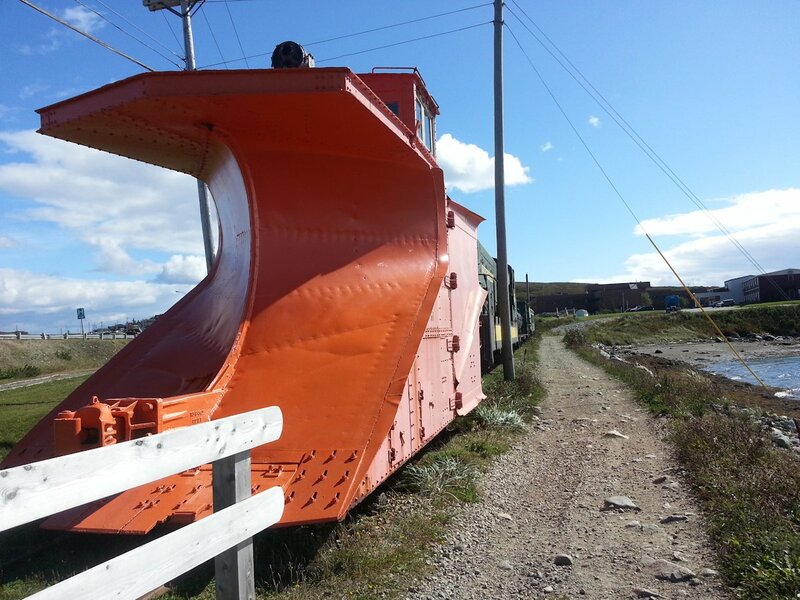 The snow plow below is at the Port aux Basques museum. The diesel engine and passenger cars in Port aux Basques are painted in the older Green & Yellow colour scheme. Continue east on the TCH about 5 minutes and you'll come to Wreckhouse. Lochie MacDougal who was referred to as the Human Wind Gauge, was paid by the railway to warn them of dangerously high winds. His advice, being ignored one time, led to 22 rail cars being completely blown off the rails. 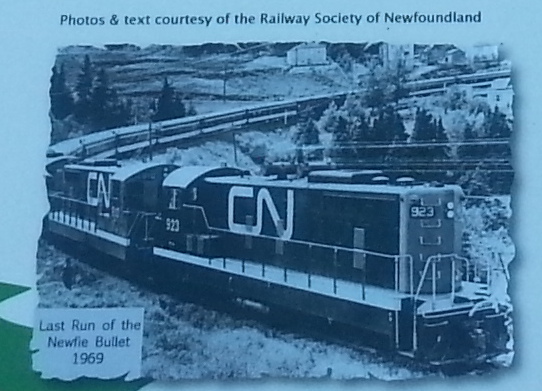 The Newfie Bullet was nicknamed by American troops. 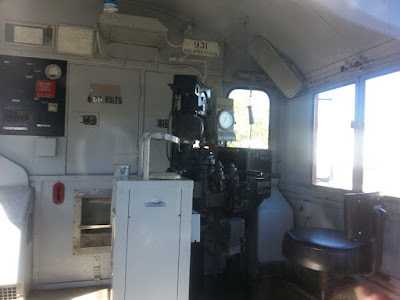 Top speed for passenger trains was 30 miles per hour on the narrow gauge line. The track bed and bridges are all still in place. It's been converted to a trail that crosses the entire island. It's named appropriately T'Railway Provincial Park. 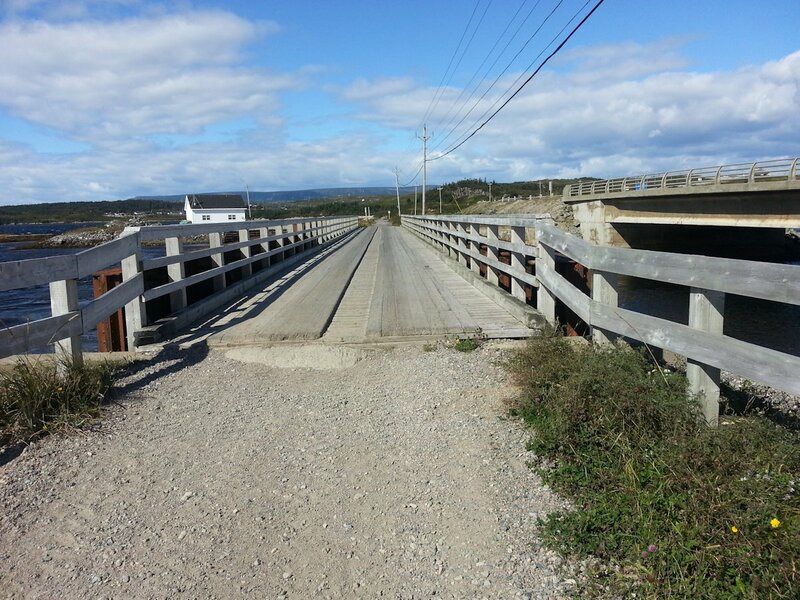 The trail starts at the Port aux Basques museum at the bridge shown below. The concrete bridge on the right hand side of the photo is the TCH.